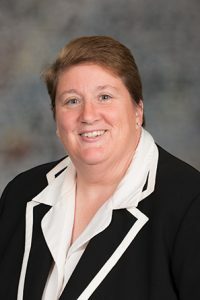 Ebke said she introduced the bill on behalf of the governor in response to several cases of misconduct within the state patrol ranks. A pending Business and Labor Committee amendment would replace the bill with provisions of Ebke’s LB792. As amended, these would require law enforcement agencies to document the reason for and circumstances surrounding an officer’s separation of service from that agency. The head of that agency must then submit the report to the Nebraska Crime Commission. Sen. Joni Albrecht of Thurston spoke in support of the bill and amendment. She said most state patrol members and police officers want to be held to a higher standard. 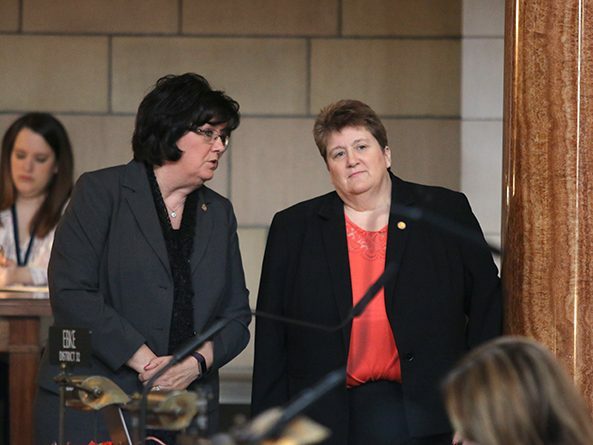 Omaha Sen. Sara Howard spoke in support of the sexual harassment provision of the committee amendment. She said one former state patrol employee made a complaint of sexual harassment after years of ongoing harassment and discrimination that created a hostile work environment. When she told her superiors, Howard said, the woman felt ignored when she was trying to have her voice heard. The state patrol administration, not the unions, should be the focus of reform, said Lincoln Sen. Matt Hansen in expressing concern about the committee amendment. Omaha Sen. Mike McDonnell opposed the bill, saying he agreed with the intent of the bill, but disagreed on the process proposed within it. He said collective bargaining rights need to be protected. Senators moved to the next item on the agenda before taking action on the bill. Per a practice implemented last year by Speaker Jim Scheer, the sponsor of a bill that is facing a potential filibuster must demonstrate sufficient support for a cloture motion before the measure will be scheduled for additional debate.